2019 BRINGS NEW BEGINNINGS FOR STARFIRE PRODUCTIONS! Call/text to secure your spot! of all ages, races and genres! We are always seeking new talent JUST LIKE YOU!! 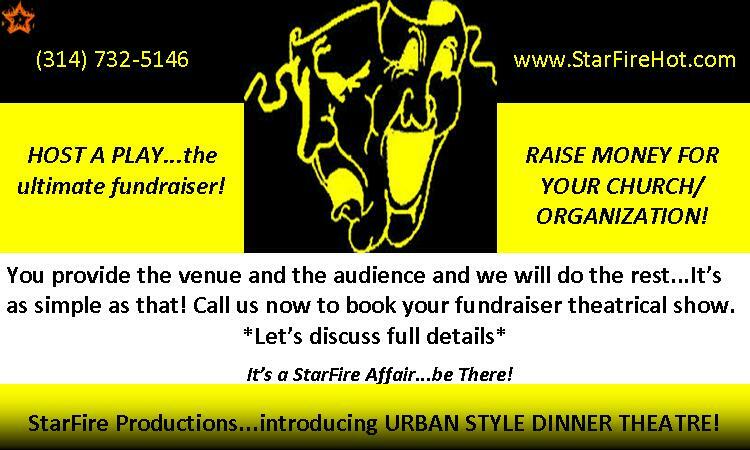 STARFIRE PRODUCTIONS NEEDS MODELS NOW!!! Please email a photo and a resume if you have one to ﻿starfire.productions@yahoo.com or we will see you at auditions! ethnic themed to soul and all the way to elite we can provide whatever menu items your event calls for. Check out our "CATERING" page for more information. This is our StarFire Productions Demo! It is on our youtube channel StarFireProductions1...please subscribe on youtube so that you can receive all of our upcoming footage and any videos that are to come. Thank you and we will see you at the shows! Any donation of $50 or more automatically makes you a "Friend of StarFire" enabling eligibility for discounted and free shows! Find out how your organization can raise money simply by attending our shows! !